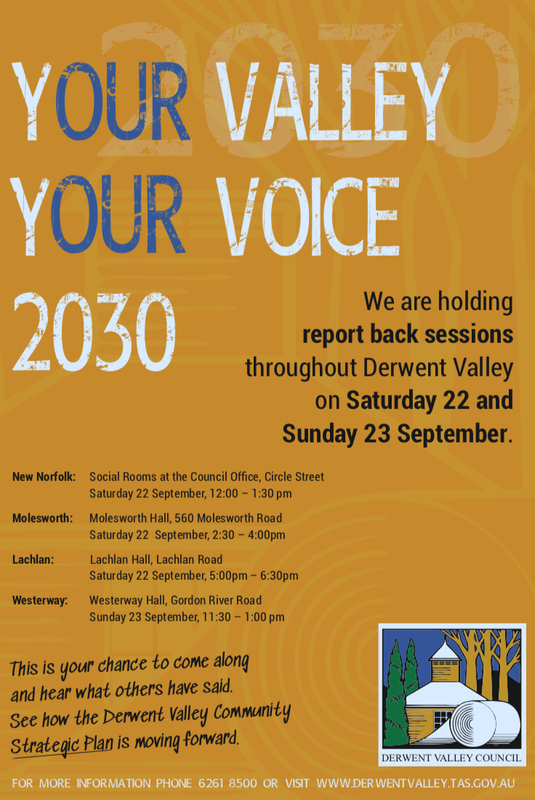 THE Derwent Valley Council's report-back sessions following its recent strategic planning community consultations will be held this weekend. In late July, the council undertook more than 40 sessions in most parts of the municipality to gather community ideas and feedback for its new strategic plan. "Overwhelmingly, the people who attended asked if there would be an opportunity to report back on the progress of the plan," a spokesman said. 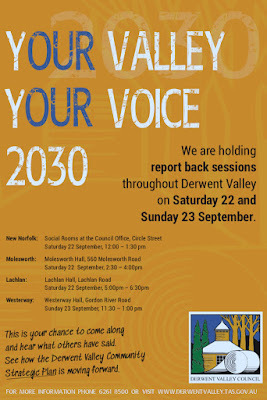 "Council is pleased to announce report-back sessions will be held throughout the community in September. This is a chance to come along and hear what others have said and see how the plan is moving forward."